The dual-party duo gave their elevator pitch for their possible bipartisan ticket for governor in a quick MSNBC appearance Monday afternoon. 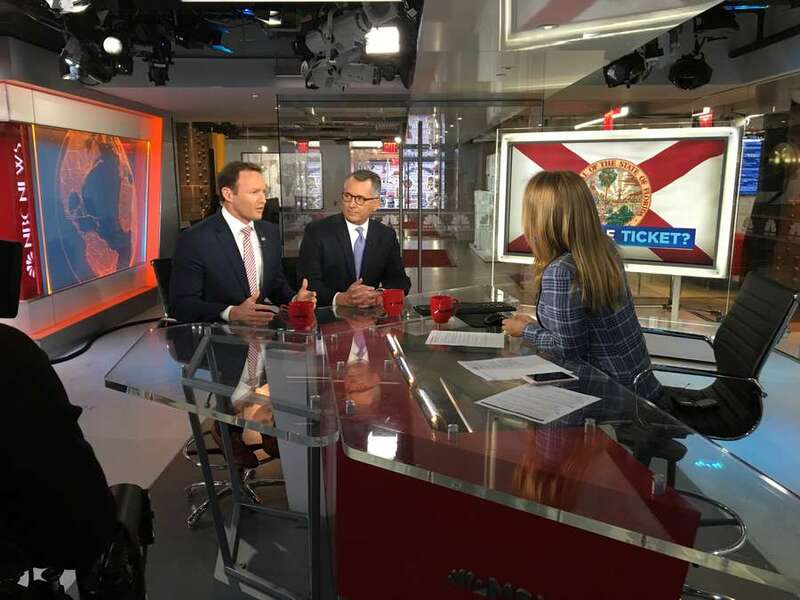 In a quick four-minute appearance on MSNBC Monday afternoon, former Congressmen Patrick Murphy and David Jolly gave what seemed to be an elevator pitch for their potential run for governor and lieutenant governor. 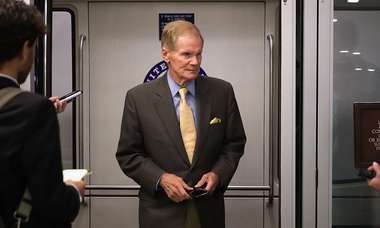 "The reality is most Floridians disagree on issues but they have to choose on lane or the other," Jolly said. "We're talking about a lane where everybody has a home." 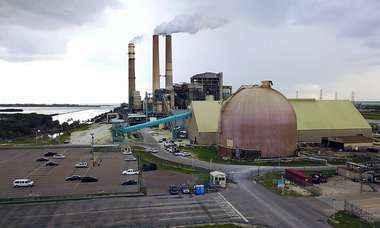 Under the proposed plan, Murphy, a Democrat, would run for governor and would nominate Jolly, a Republican, as his running mate after making it through the primary. The cable news spot — set against a "Purple Ticket?" broadcast news banner — marked the pair's first national TV appearance together, after a tour of college campuses and local TV stations discussing gridlock in Washington and the need for more bipartisanship. Jolly also is a regular guest on MSNBC and Fox who often criticizes President Trump. One issue Murphy and Jolly highlighted where they find common ground is that of gun control. Ten students and teachers were killed at a school shooting in Santa Fe, Texas on Friday. Jolly suggested universal background checks and making it more difficult for people to get assault rifles, calling his fellow Republican's post-shooting policy solutions "absolute garbage." And Murphy called gerrymandering, or the redrawing of legislative districts to give one party an advantage in elections, "the single biggest problem with partisanship in our country." Florida's next governor will be in office when the state is required to start redrawing its districts for both the state Legislature and Congress in 2022. But the show's anchor, Katy Tur, pressed them for more than just soundbites. "I'm still not entirely sure why you're not running and announcing that you're running," she said to chuckles from both men. "We've got about two to three weeks until qualifying," Jolly said, referring to the paperwork deadline to officially run for statewide office on June 22. Jolly told the Times/Herald that the duo have ruled out any third-party run, and if they decide to join the race it will definitely be as a bipartisan ticket. Legal experts have told them the idea is viable, according to Politico Florida, only increasing the political buzz. They have more national TV hits planned for Tuesday: on MSNBC again around 7:40 a.m. for the "Morning Joe" show and on Fox News in the 7 p.m. hour. Supporters have conducted polling that shows they could have an edge among Democratic primary voters, many of whom are still undecided three months before the polls open. "I don't know whether or not they are running," said Democratic pollster Steve Vancore, who was not involved in the early Murphy-Jolly poll. "But I do know … I have heard their plea and their ridiculously common-sense concepts about cooperation and commitment to working across the aisle to get things done."